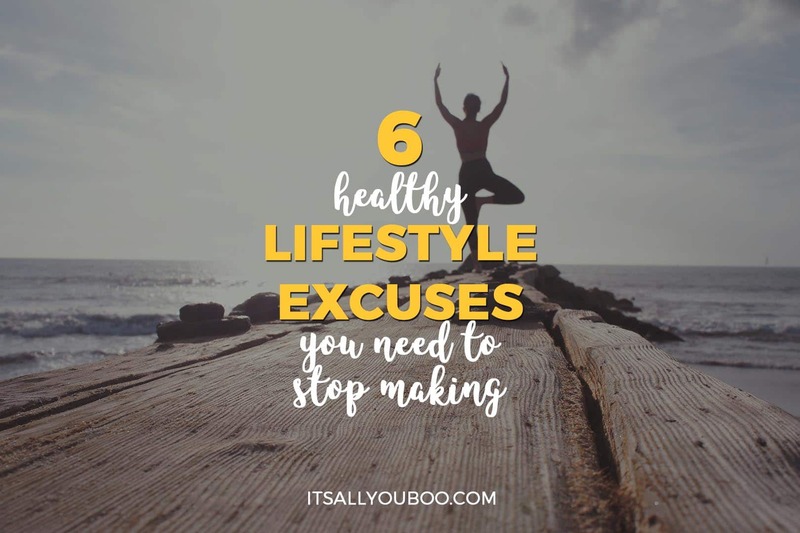 Are you making healthy lifestyle excuses? What’s your excuse for not eating healthy or exercising? We all know that it’s important to be healthy, and happy. You want to achieve your health and fitness goals! We know the benefits of working out and eating right and reducing our stress, yet still, we all give ourselves so many excuses on why now isn’t the right time to start making changes and start living a healthy lifestyle. Right now, we’re going to squash those excuses! I can tell you right now, they are straight up BOGUS, and after today you will be empowered to flip the script and get to living the life you desire, happy and healthy! As a certified wellness coach, yoga coach, I am one of the most down-to-earth Mama’s you will ever meet! Here are some of the most common excuses I hear about why people don’t want to make changes to their lifestyle to live happier and healthier, and why they don’t apply to you! What if I told you that you can make your lifestyle fit into your life, instead of trying to live your lifestyle? Being healthy isn’t time-consuming, its time extending. Meaning the more you make it a priority, the better your quality of life will be- therefore the longer your life will be! Well first things first, you need to know your priorities and create a schedule. That helps you work with the craziness in life, instead of trying to spend all your time eliminating it completely. Kids, family, work, life in general, don’t take it easy on us, and if we don’t learn to accept that, we will always be filled with stress and overwhelmed. The only way to balance it all is to figure out your top priorities, schedule those into your day around your obligations (work, kids activities, etc) and figure out the way to get the most bang for your buck with everything else! Once you know your priorities, you can then schedule in things like meal prep on maybe Sunday nights or while the kids are at school. Being prepared, learning to manage your time, have a plan! They don’t call me the most Zen Mom at the playdate for nothing! It’s true that sometimes holistic and alternative forms of health and wellness can be intimidating, but have you researched what goes into the Mc Rib at Mc Donalds? Everyone eats those! Not trying to knock Mc Donalds- I have kids, chicken nuggets make it into my house every now and then, but I also do plenty of other things to offset the days of needing to swing by the fast food drive-thru. Why is it that people want to research green smoothies when they are made with all natural things like spinach, berries, milk (preferably non-dairy for extra points), greek yogurt, and plenty of other great real ingredients, but fast food, that is made with who-knows-what, is bought in mass quantities each day? Seems a bit backward to me. Mind.Body.Green: This is a great place to learn about natural living and wellness. They have great recipes, thoughts, and tips for relationships, and lots of good info on keeping the planet healthy! The Chopra Center: Deepak Chopra is the go-to guy for meditation. He offers tons of free training, and has all of the latest information on how to better your mind and soul. Nutritious Life: I actually got my health coach training through Keri Glassman’s The Nutrition School. Her website is full of amazing information on the benefits of certain foods, keeping hydrated, and doing all the things needed to keep your body running at its best! 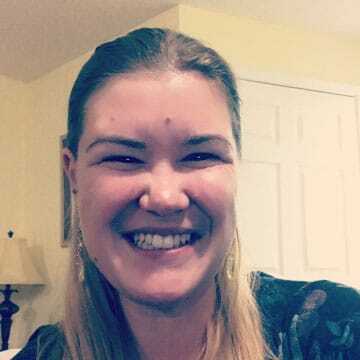 The Mama Bear Yogini: I am an expert in my field, and I am always expanding my knowledge and sharing my findings along the way. I talk about all things yoga, mindfulness, holistic living, and making your lifestyle fit your life! Start with these places, and I have no doubt you will quickly find the reassurance you need to start making the changes you desire! Anything that is worth doing well takes effort. It’s true that it is easier to stop at the drive-thru for dinner every night, and it’s so nice to just sit on the couch all evening after work, but we also know that those things are not beneficial to a healthy life. Healthy eating takes work: there is recipe finding, grocery shopping, and meal prepping, but how much more dang delicious is that home-cooked meal than that greasy fast food? Like, A TON! And just like anything else in life, after a while of doing something, it becomes easier and like second nature. “Practice and all is coming” is a quote we have in the yoga world from Sri K. Pattabhi Jois, and as yogis we try to apply it to all aspects of life. When you practice: physical poses or asanas, meditation, healthy eating, compassion, really any of things we know we need to do to be happy and healthy– when we practice those things, we will find the joy and balance we seek in life. So yes, being healthy can require work, but isn’t it worth it for all of the benefits you will get? No, eating out every night and never cooking at home is expensive. Eating out is actually 435% more expensive than eating at home. The true cost of eating out vs cooking at home is about $12 vs $4 per meal. You can go to the grocery store and find healthier alternatives that are just as quick and delicious. It’s all about being educated on what the healthier options are, and choosing to put in the effort. The added benefits to your quality of life and life expectancy should totally outweigh any extra cost that might come. It’s all about that opportunity cost- see Mr. B, I totally did pay attention in High School! Eh, I’m not buying it! I have three kids, five and under, and I have a very consistent yoga practice, eat clean, and can generally manage my stress very well! I’m not saying that since I can do it anyone can, oh wait- Yes I am! But really, as I said above, there are healthier options and– I’m going to give you one of my biggest secrets here- every little bit counts! What I mean by that is, even a quick 10-minute workout during nap time or before you start cooking dinner, is better than no workout because you thought 10 minutes wouldn’t be good enough. Switching those spaghetti noodles for whole wheat makes a huge difference nutritionally, and your kids will never taste any change in their favorite dinner. Choosing to eat a 90% clean recipe, even though it has some processed ingredient in it- Soy Sauce, I’m looking at you- is better than eating something straight from the box or drive-thru. You can stop making excuses for not eating healthy, by making healthier eating choices, one bite at a time. Well lucky for you, I am here! I know how it is, you start off so good, meal planning, cooking healthy dinners, working out, and then one thing throws you off and you never can get back on the right path. We all need help, we all need support, and we all could use some accountability. I am here to listen to your needs and help you find where you can fit healthy lifestyle changes into the life you already have. I like to call my method “Yogini Momlife”. It’s all about being more mindful of where you can make changes, having the discipline to actually implement and keep up with those changes, while still being compassionate enough to yourself to understand life is a journey and it’s all about progress, not perfection. None of us is ever going to master life. We are never going to perfect living healthy and being happy all of the time. This is exactly what the practice of Yoga tries to teach us, on and off of the mat. I would love to be there for you and help you overcome these excuses. You can live your best life possible. Yes, you can find the balance and control you seek. Will it be perfect? Heck no! But will it be possible, and will it help? You better believe it! So the next time you make an excuse to yourself, I hope you feel empowered enough to tell that negative voice it is BOGUS! And feel free to get in touch with me and find out how I can be the cheerleader-on-call you need! Ready to STOP making excuses for living an unhealthy lifestyle? Get started today with a new healthy habit. 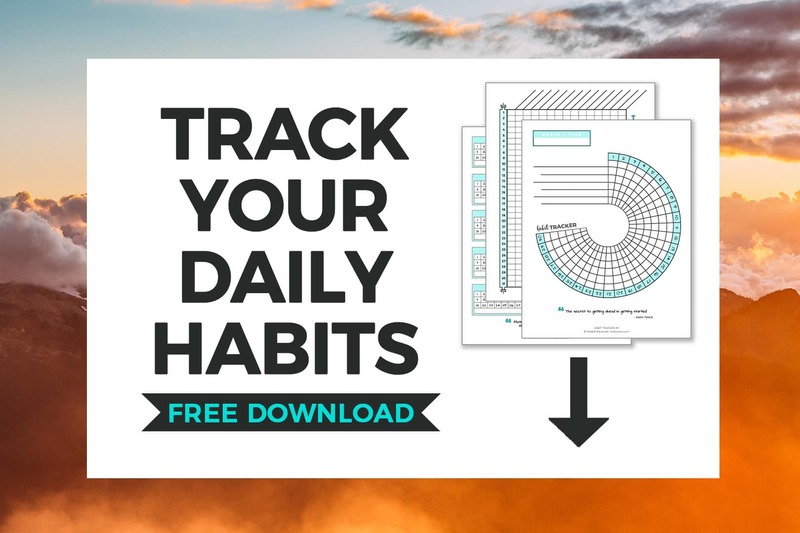 Get your printable habit tracker templates, with spreads for 30 and 31 days. 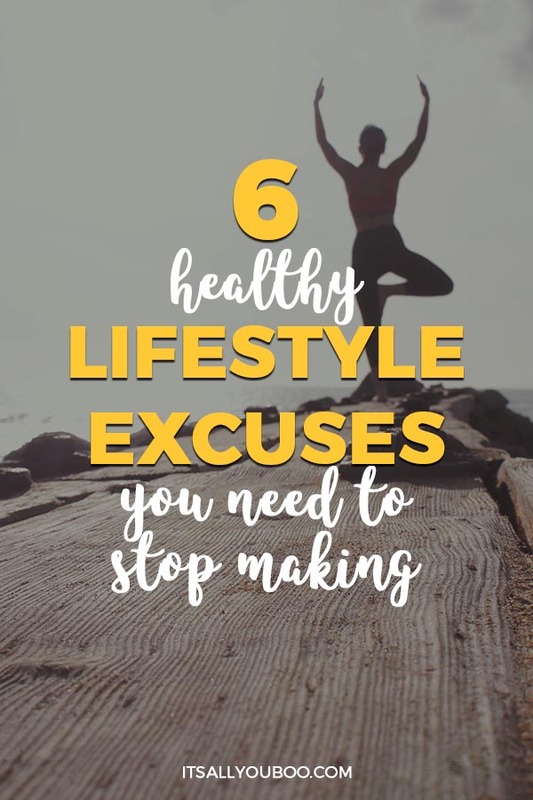 What healthy lifestyle excuse are you going to stop making? Beth Dyer aka The Mama Bear Yogini is a Holistic Wellness and Yoga Coach. Beth’s mission is to help moms tap into their “supermom” abilities through the power of yoga. By applying her own signature Branches of Wellness and the Yogic Path, Beth teaches moms how to apply the amazing lessons yoga to find balance in all the craziness life. Download her free Living Within the Chaos eBook here. Staying motivated is usually my issue. Definitely the hardest would be for me to stick to my workout routine. Ugh the routine 😑 it can be so stressful trying to stick to! It’s all about keeping that goal in your minds eye, never losing sight, and always trying to make decisions that propel you towards the goal! It’s totally worth it in the end! ♥️ Thanks for reading! It really is in the long run! And NEVER as healthy (or delicious) as a home cooked meal! Staying healthy and fit is an ongoing battle, but I always feel better mentally and physically when I make good choices! Yes! The pay off is ALWAYS worth the extra effort! And I find that true for just about everything in life. We’ve all made at least one of these excuses before! But I show on my site how health food can be quicker and cheaper than the bad stuff… so it can be done! It totally can be done! And yes, I am so guilty of making some of these excuses!! It’s the awareness and ability to move forward that makes the difference!! This post is so true and so relatable. Sort of gives me a kick from the behind that I really don’t have any excuses and should just start getting healthy and change my lifestyle. I love that this post inspired you! That makes my heart happy!! Love this! I struggle with staying motivated, but I’ve been going strong lately! This post will help me to stay focused and get it done! I used to say that I didn’t have time. I have flipped that switch. I have time for the things that are important. Yes! If it’s important you CAN make time for it! I love that you’ve been able to flip the script! My biggest issues were consistency in working out and eating right. Your blog has definitely helped me get better at both. Thank you! It can be so hard to stay consistent! Keep at it and stay inspired! This article is really thought provoking. I too often use the phrase “I dont have time”. It has definitely given me a lot to think about. For sure and SO COMMON to hear in my line of work! I am guilty of this. =( I couldn’t tell you what all of my excuses have been. My latest one is that since I have scoliosis, degenerative disc disease, along with back pain, I’m afraid that I will aggravate my back. But I know that the correct type of exercise will actually help my back pain. I actually am going to be doing PT soon so I will be able to be taught the correct exercises and the correct way to do them. All of the most common excuses you listed I have either said or heard. Well medical conditions aren’t really excuses, if they indicate you need to hold back on certain things. However there are lots of ways to modify workouts and such to accommodate your needs! Thanks for reading! I hope PT helps you! I’d love to chat about yoga when ready. You make time for what’s important to you! I always hear the “I don’t have time “ from people 🤷🏽‍♀️. But you have time to shop, go to the movies, eat out etc. Health is wealth! Take care of yourself! I really believe in slaying my body goals this year. I really want to be fit. We can do this! Love that motivation!!! Yes we can do this! We all make these excuses and some days I am active but somedays I make the excuses too. A healthy lifestyle is important and excuses are something which stops us. Too true! I make excuses as well! Love the motivation!! You can do it! I really like the “need-more-research-excuse”. It is such a common trap to fall into. It is like we think we need to hoard a big pile of knowledge before we can make any decision. Turn out, a lot of improvements can be made without a ton of knowledge and sometimes you even end up more confused than before. Oh the research it more trap is oh too real! We can convince ourselves that we don’t know enough, need to plan more and get it just right – when the reality is that we just need to get up and move and make better food choices one at a time. Super simple! The only thing i want is continuity. May be these great thoughts will help me change my habits. 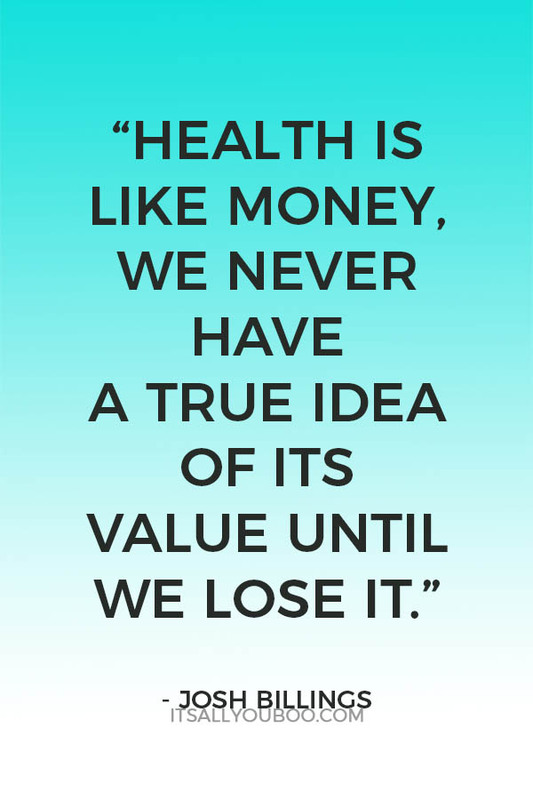 Health is wealth and you are right about us not knowing its true value until its taken from us. I have not been living a healthy lifestyle so I am guilty of the other excuses here. I will be more focused and see how this fitness and healthy journey will take me and my family. It all starts with making a better choice and deciding to stop making one excuse at a time. I found food was easiest to change, then started on exercise.